It’s true what they say about side projects – you never know where they will take you. I knew in my heart I wanted to make Parse & Parcel a reality, but taking that leap can be scary. Lucky for me I have some amazing people on my side that have made all difference. For me one of those people has been Christine Wisnieski, an incredibly talented multi-discipline designer based in Cleveland, Ohio. I first met Christine when I was her paper rep, together we got to work on some pretty awesome print projects. She’s always been one of those designers that gets it, especially when it comes to paper and it’s importance when designing for print. So when I finally decided to bring this passion project to life, she was one of the first people I enlisted for help. I knew at the onset the look and feel of Parse & Parcel had to be perfect, after all it’s a business geared to the design community. 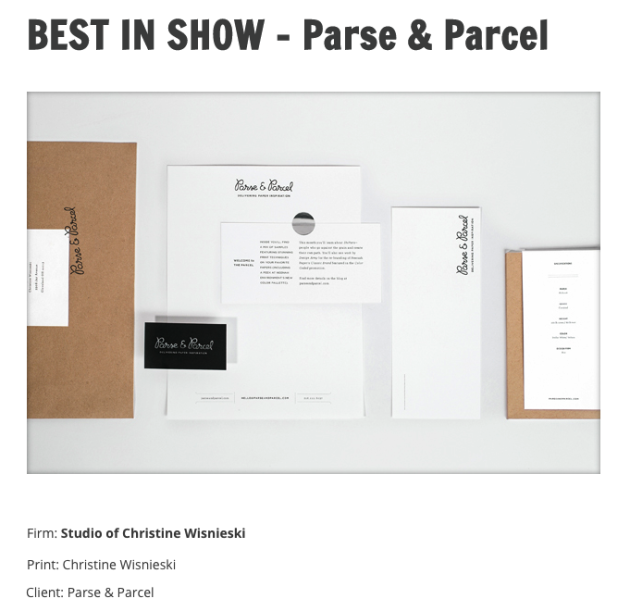 I felt Christine perfectly captured the spirit of Parse & Parcel and created a beautiful brand for my business, but was I biased? While supplier feedback had been positive and subscriptions steadily increasing, I couldn’t help but wonder if the industry understood it. 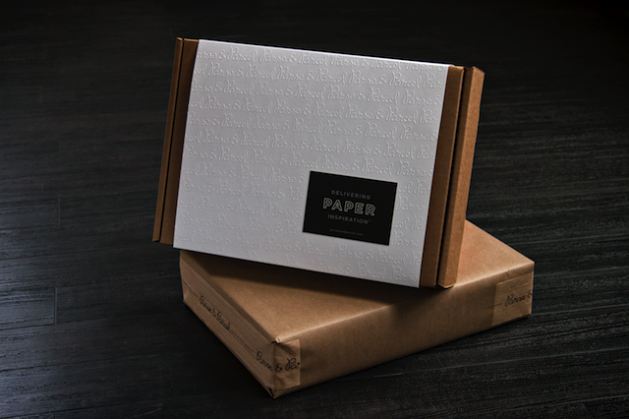 Any doubts I had were put to rest earlier this month when Parse & Parcel won Best of Show at the AIGA Cleveland Design 730 Competition. Somebody pinch me. There’s something special about seeing your vision come to life. I’m not saying it’s been easy or without its challenges (yes, I ran into some issues on press), but nothing I have done professionally has ever been as rewarding. I can honestly say I have never had more fun working on a project – and cannot wait to show you what Parse & Parcel has planned next.